Greens aerification was completed on August 22nd. The weather cooperated and our processes went very smooth. Greens were heavily top dressed first. 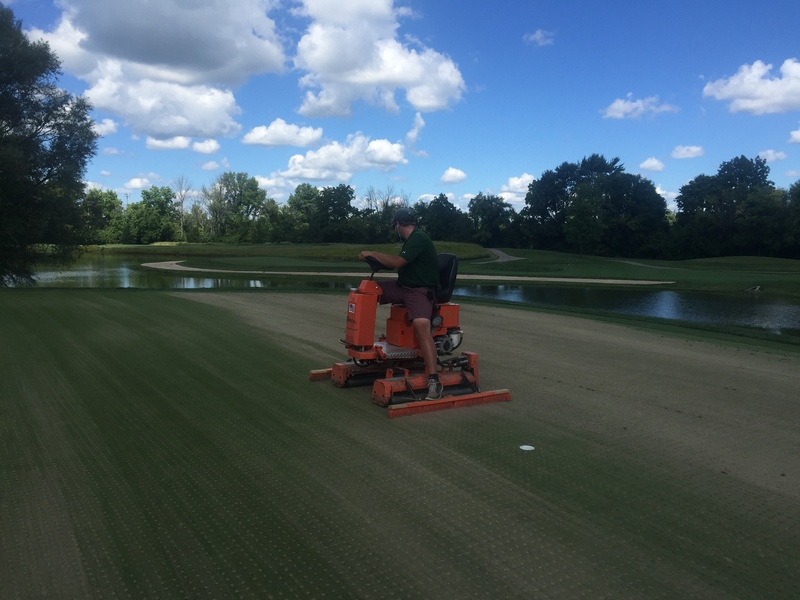 We then aerified over top of the sand. We topdress first to prevent the heavy topdressing unit from leaving ruts in the greens after they are cored. Another benefit to this process is that the core collectors we have on the back of our aerifiers help pull the topdressing into the open holes as the machine moves across the surface. After the green is aerified, we clean up the piles of cores then roll the entire green to smooth it back out. We then use a tow behind brush to incorporate the remaining sand on the green into the holes. The final step is to use backpack blowers to sweep the entire green and surrounds to clean up any remaining debris or areas of heavy sand. We started at 6 am and all 20 greens on the property were finished by 3:30 pm. 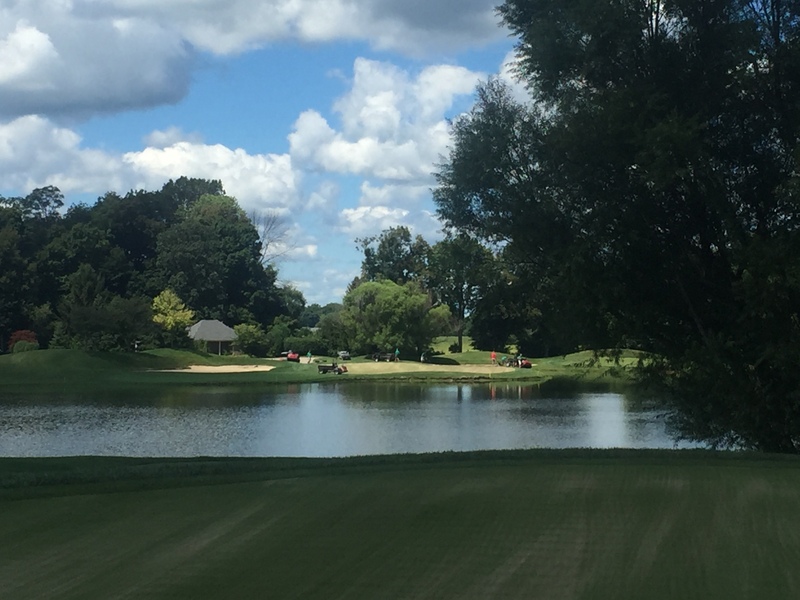 Many of you have been asking why do we aerify in August instead of waiting until fall like most courses do. The main reason is to prevent Poa Annua encroachment. Poa starts to seed in the fall and when you aerify you are leaving thousands of tiny spots that a Poa seed could establish in. By aerifying in August, the process is completed and the greens are healed in before Poa starts to seed thus giving us a better chance of minimizing any contamination.